We all have a social anxiety story, let me tell you some of mine. This is not the whole detailed story just the outline. The start of my story relates to blushing……. My first conscious awareness of blushing was in Mrs Hill’s reception class. In the English system it was my first class at school. I can remember it clearly even now. It doesn’t hurt like it used to do but it still stands out clearly in my memory. At 5 you are learning lots of things and often you learn them by making mistakes. It is normal to make mistakes, we learn from doing things the wrong way and then correcting. Just think about the things that you have learned by doing it the wrong way and then correcting. One morning I was practising my writing. I had to take it to the Desk for Mrs Hill to see. Suddenly the world changed. I was made to stand in front of the class and hold my book up to the mirror, placed especially there to show mirror writing. I was writing backwards from right to left, not left to right. Not only that but my writing was also reversed. Like one of my heroes Leonardo Da Vince I had learned how to write backwards. Real mirror writing. I don’t think Mrs. Hill knew that. Standing in front of the class I was being humiliated and I could feel my face going redder and redder. Then she told the class about my friends and I knocking on her door and running away. I was now even more embarrassed. I think I was red from head to foot, feeling really stupid. Not only that but also caught in the act of being sneaky and not very nice. After all it was the big kids who put me up to it. I don’t remember anything after that. It is a real blank but the memory of the humiliation and blushing remains very strong. The memory no longer has strong emotional attachments as it is so long ago. Perhaps this was the first time I became aware of the fact that I blushed and all the other aspects come after that. In many senses I had a very free childhood and would wander the neighbourhood and created all sorts of mischief. I was very naughty at times. With my mates I was something of a free spirit as many of them were too. At school and in formal situations I was much less outgoing. In mixed social groups I would feel intimidated and the blushing would begin. It was especially noticeable with attractive women and girls. Later I would really hate to go to family gatherings as I always felt out of place and would blush. As I approached my final year at junior school we had a very attractive young student teacher and every time she spoke to me I blushed profusely. Then there was the dancing. Dancing classes were OK but having to go on stage was quite another thing. I developed all kinds of creative avoidance techniques. At secondary school whilst I did well in exams I was not the most outgoing of people. Mixed socialising with the girls from the next-door school was hard work. We even had to dance with the girls; learning how to do all kinds of formal dancing which even involved touching. It isn’t that we didn’t want to dance with the girls it was more that we didn’t know how to deal with it. As you can imagine the blushing made it even more uncomfortable. It is worth mentioning that I was ginger haired with very fair skin and freckles. With that colouring blushing seems easier. Later as an older teenager I discovered girls and alcohol. Alcohol made things a lot easier to deal with, apparently. I did have girl friends, so I was not totally inept. One thing that I discovered was to not chase girls but to let them approach me. That way I did not have to go through the whole thing of putting myself out there and feel inept. Much more recently, during my therapeutic work, I discovered that people of similar temperaments types often find an interest in each other. All these things continued in lesser forms until I began teaching. Then I began to experience some other aspects on my social anxiety story. After three great years at college including one year in the USA I qualified as a teacher. My first job was in a middle school. Class control did not come easily to me; in fact my formal classes were always noisy. This goes all the way through my teaching except for my most loved area Design Technology and Art. This was the area offered to me in my first job. I was not trained to do it but had worked with wood and always been good at drawing. At college I had studied Film and Television so there was some connection. This area I loved and by its very nature it was noisy. An added bonus was that I could work with half classes. My style of teaching in these creative situations was to work quiet closely with my pupils and have fun. Wow! Thinking back we did lots and lots of exciting things. On the other hand when I had to teach whole classes for Maths or English I was just not as comfortable. One day I found that I had a pain in my chest. I thought I was going to have a heart attack. It nagged away in my chest until I decided that I needed to see a doctor. Dr. Abrahams examined me and he diagnosed Intercostal Angina. Basically it meant I had a pain between my ribs cause by some strain or other. I was still drinking a lot at this time as most of my social life involved going to the pub at some point most evenings, even if after seeing a show or film. The next health problem was the appearance of lesions on my hands. Small areas where I had sorts of blisters with blood in them which then turned into small open wounds. When they spread to my feet as well I went to my doctor. His explanation was that sometimes these things spread internally and he gave me a steroid type ointment for them. It had very little effect. In both instances of going to the doctor I was not give a good explanation of why I was reacting in this way. I now know that both the chest pains and lesions are often the result of anxiety. This was quiet some time ago and perhaps the doctors did not really appreciate that I was an anxious person. I know that I certainly did not think about anxiety, this was how I was and I just got on with my life. I was never much good at expressing my feelings. I am sure now that this repression of feelings contributed to the whole experience that I am telling in my social anxiety story. Strange isn’t it how we seem to put ourselves into positions where we have to challenge our inner demons? I continued to do that in my next job. I took on another job teaching in the early years in charge of three classes and five staff. My biggest problem to deal with was the two very experienced teachers on my team who both applied for the job that I got. My experience with this age range was limited to our own two boys who were now 7 and 10 years old. I still found dealing with authority figures hard but now I had become one myself. The next job was the biggest stretch. I became the Advisory Teacher for Design Technology for my city. It was a for a two year secondment. Now I had really put myself in a place where I had to be up front. I was driving about all over the area and had to put on courses and present to all kinds of groups. A visit to the doctors for a check up revealed high blood pressure. The interesting thing was the when retested in the morning it was normal; the comment from the practice nurse who tested me was “What do you do during the day?” The answer was, as I now know, that I had pushed myself way outside my comfort zone. Each day I had this internal battle to overcome my anxious feelings. These feelings were so much a part of me that I did not know that this was not the normal way to be. Again I suffered from chest pains, they became nearly constant. Another trip to the doctor produced no satisfactory understanding. I was left with no good explanation of my discomfort apart from the fact that it was nothing to worry about. It was pointed out to me by my boss that in presentations to big groups I came over with little enthusiasm. I was again failing in interviews; I lost all sense of direction. I knew that I loved certain parts of this job but was not happy. I went into my shell. I went back to my old school at the end of the secondment and carried on teaching and hating most of it. Three years later I eventually got another job but again this involved a lot of presentations to groups of teachers. This time it was running National courses in central London. Now that had certainly pushed my comfort zone way out. I ran the one-day courses as I loved to, very practical and very hands on. Yes I had to be up front and present for the first half hour and at the end of the day. I learned how deal with that quiet effectively by making sure that I was very well prepared. To tell the truth I really began to love working with large groups of creative teachers. Plus my feedback was more than 90% positive. Then calamity! The Institute that I was working for was to have most of its government funding removed. Consequently I was made redundant only 6 months after taking the job on. Around about this time (1992) I made the first discovery of how to begin changing my thinking patterns. My neighbour Andy lent me a course by Lou Tice of the Pacific Institute. There was a lot of good information in it and two components literally changed my life. 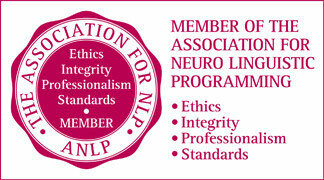 I began with self-talk and then 3 years later moved on to studying NLP. Thank you very much Andy. You did me a great favour. From that point onwards I began to make significant changes in the way I lead my life because I shifted my thinking. However I am still learning and growing. This personal experience helps me to respond to those who have some form of anxiety concern. Return from Anxiety Story to Help for your Anxiety in Bradford, Keighley, Leeds and Skipton areas.